The Swedish violinist Ulf Wallin studied at the Royal College of Music in Stockholm with Prof. Sven Karpe and at the University of Music and Performing Arts in Vienna with Wolfgang Schneiderhan. He devotes himself to solo and chamber music with equal passion. Concert tours have taken him to Asia, Europe and the United States. He has worked with such eminent conductors as Jesús Lopéz Cobos, Manfred Honeck, Paavo Järvi, Andrew Manze, Esa-Pekka Salonen, Walter Weller and Franz Welser-Möst. 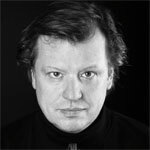 Ulf Wallin has appeared at numerous major festivals including the Lucerne and Berlin music festivals, the Schleswig-Holstein Festival, the Schubertiade in Schwarzenberg, Musiktage Mondsee, Festival Pablo Casals de Prades and Marlboro Music Festival. He has performed in the world’s leading venues, including the Berlin Philharmonie, La Scala di Milano, Théâtre des Champs-Elysées Paris, London’s Wigmore Hall and the Musikverein in Vienna. His dedication to contemporary music is highlighted by his close contacts with several eminent composers, among them Anders Eliasson, Alfred Schnittke and Rodion Shchedrin. He has made numerous radio and television appearances, and more than 45 CD recordings, many of them released by BIS. Professor of violin at Berlin’s Hochschule für Musik Hanns Eisler since 1996, he has served on juries for major international competitions including the ARD Competition in Munich and the Fritz Kreisler Violin Competition in Vienna. In 2013 he was awarded the Robert-Schumann-Preis der Stadt Zwickau and in 2014 he was elected into the Royal Swedish Academy of Music. Ulf Wallin plays a violin by the Venetian master Domenico Montagnana from 1746. For further information, please visit Ulf Wallin's website.